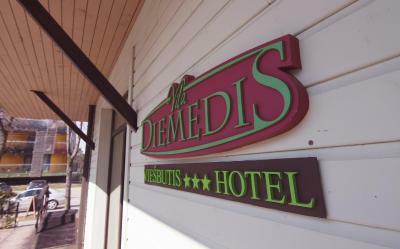 Lock in a great price for Boutique Hotel Vila Diemedis – rated 8.7 by recent guests! Execellent place to stay very close to the main street and all the restaurants. Room is very good, clean and bed is comfort. Staff is very friendly. Breakfast is good. Recommend this place. 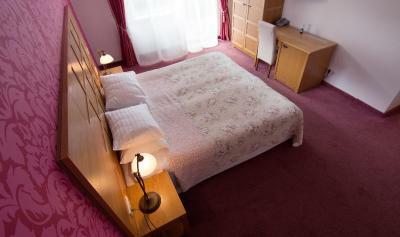 Super, friendly staff, great location, comfy beds and good breakfast. Main street is like 50 meters away and beach around 500 meters. Bed was soft and room seemed to be clean enough. Overall design for room was quite nice. Location very good being close to main street, but at the same time silent. Good vegetable omlet in breakfast! a very nice place, comfortable location. The staff was nice. The room was comfortable and spacious. Located near main streat. Grosery shops, parks, beach, bars and restourants are all within 5-10 minut walk. Very quite and calm surroundings. The hotel is pretty cosy, rooms are spacious, beds are very soft, location is really good if you don't mind a little of noise from the main street. Overall I rate it as good value for money, you probably not regret getting it. This hotel is exactly what it says on the tin. Great value for money, good service, very good location. Location, close to main street, shoping centre, beach. I like everything about this place, just perfect! Very cozy hotel in perfect location. Close to one of the most nicest park in Lithuania, close to busy walking street, but enough away to keep room quite in the night time. We always enjoy stay at this hotel. Personal always warm and welcome. What else... I like to hear church bells ringing outside in the day time, when you open the window :) Beds are very comfortable. Boutique Hotel Vila Diemedis This rating is a reflection of how the property compares to the industry standard when it comes to price, facilities and services available. It's based on a self-evaluation by the property. Use this rating to help choose your stay! Offering a restaurant and a library, Vila Diemedis offers accommodations in a fully refurbished historic villa in Palanga. Free WiFi is available throughout the hotel, as is free parking. 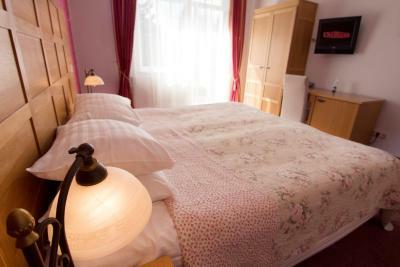 Rooms feature cable TV and a private bathroom with a shower. Each one comes fitted with a fridge, a safe and a hairdryer. An excellent place for relaxation, Vila Diemedis blends historical heritage and modern trends in perfect harmony. The on-site restaurant is located on the ground floor. When would you like to stay at Boutique Hotel Vila Diemedis? 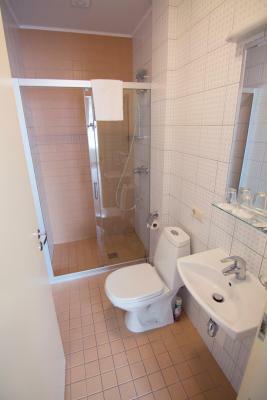 Room with a TV with cable channels and a bathroom with a shower. Spacious room with a mini-bar and a balcony. House Rules Boutique Hotel Vila Diemedis takes special requests – add in the next step! Boutique Hotel Vila Diemedis accepts these cards and reserves the right to temporarily hold an amount prior to arrival. A kettle would of been perfect! The room air need to be refresh at our arrival. Even we found a big spider in one corner. The first breakfast was cold and not fresh. The second was somehow better. The staff was not involved in their job. The bed was confortable and the room was spacious. The location is very good. Receptionist was bad in both english and russian so start of our visit was reall bad since there were no place for our car in the parking and our room was not ready so needed some explanations, but instead of polite answers girl just made strict statements. 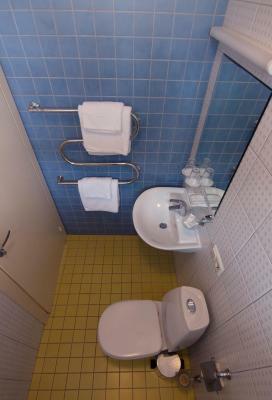 Inconvenient bathroom layout. Even though there were written one extra big bed there were just 2 single beds together moving appart from each other, 2 seperate blankets so not really romantic sleeping. The staff cannot communicate in English and almost even in Russian. Parking is a real problem, no matter what they say. Poor breakfast. Room and bed were quite comfortable. Unfortunately the label ""Boutique" in the hotel's name is totally misleading, as the room we got was equipped with the cheapest furniture one can ever imagine. Also many things were malfunctioning. Just to give an overview: the W.C.'s top cover was made of very cheap plastic and was removed from the rest (VERY hard to sit down there! ); the faucet wet our belly each time we gave a bit more water pressure; the fridge did not work at all; the large windows did not come equipped with obscuring curtains, therefore at night the room is hardly dark; the car parking space was already full of cars from non-guests. A renaming and re-marketing of the hotel as a best-price, low-quality place is definitely required. The hotel is very central and close to the main street of Palanga. Thus, it is also close to the restaurants, bars etc. which are all just a few minutes away on foot. Our room had independent access from the outside, which is nice if you plan to come back late at night and do not want to disturb other guests. The hotel is next to the main “party” street and there is no air conditioning in the rooms. If you are staying here in the summer - you will have a hard time sleeping. Rooms are super hot and you cannot open the window due to the screams and music from the outside. It should be a room with balcony and we paid extra for that. Finally it was a room on ground floor next to parking and hotel tried to convince us that all was ok!!! There is no A/C, if you will have 3rd floor (upper) apartment during the summer it’s going to scorching hot inside. No minibar, small outdated TV, small table fan. There is no air condition (yes, it's not even mentioned in the room description, but we were there one the hottest day of the year and AC would be something that we would really appreciate :)) The receptionist couldn't order me a taxi. It's nothing serious but it got me really frustrated at that moment. And finally, the worst part of this Hotel! TERRIBLE breakfast! There's a restaurant downstairs which would mean that they have all the possibilities to make a decent breakfast, but in stead you will get boiled eggs, cheapest boiled sausages and strange rubbery pancakes, probably fried in a fryer. It dosn't fit in my head how could someone approve this as a good breakfast. So I hope that they will reconsider it and improve, because it's only a small step to make this Hotel a pretty nice place to stay. A little noisy at night from Basanaviciaus St., the breakfast is very poor.